I have tried several different recipes for American pancakes but it ends here, this is the only recipe I will use from now on! 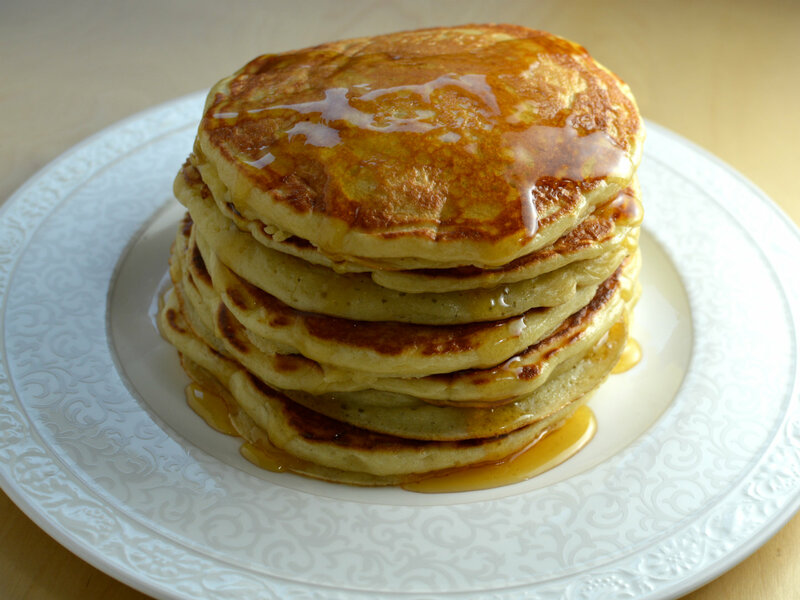 If you also want foolproof fluffy pancakes, look no further! The man with the weird name J. Kenji López-Alt from Serious Eats has written a great article on the science behind the best fluffy American pancakes. However, since buttermilk is not available here in Sweden I had to adjust his recipe a bit. Heat up one or two non-stick frying pans on medium heat with some butter. Take around 1 ladle of batter for 1 pancake and pour it on the hot pan, wait until the top of the pancake begins to bubble or just check how it looks underneath before turning. Cook until the next side also is golden brown.